Home E3 E3 2016 The “Beautiful Game” becomes even more stunning……. The “Beautiful Game” becomes even more stunning……. 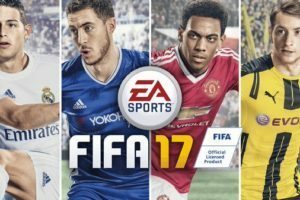 Today has been a day of days for Electronic Arts, their press release displayed a fresh renovation of the beautiful game; EA FIFA 2017-The Journey. This new addition to the series has a host of new gameplay mechanics that are going to break the internet upon release. Now adopting the Frostbite engine, Aaron Mchardy and his talented team over in Vancouver, British Columbia are set to amaze the world with the new dynamic intelligence system, creative control, and the ability to augment the playable characters. A bright new addition to this series; is that of a compelling story where a young hopeful is portrayed in a campaign style game mode, and the rigors and trials of maintaining a high profile position in a football club are pressed to the limits. The updates to this annually released game are setting the industry standards as Electronic Arts does with their cutting edge titles. This year stepping onto the virtual field and lacing up; will be nothing less than stepping next to the great football players before us and taking part in EA’s play campaign.